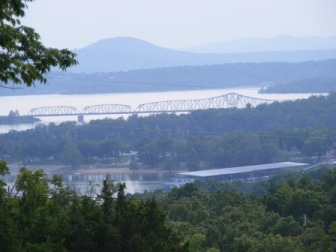 Kimberling City Motels near Branson are in an area around the shores of Table Rock Lake southwest of Branson, MO. The area stands on its own as a lake resort but is only minutes from all the activities of Branson. Included are the Kimberling City area and the area on the south shores of Table Rock Lake. Located in the Branson West/Kimberling City/Lake Gold on our area map it can be reached by traveling south of the town of Branson West on Highway 13. Kimberling City motels provide a great base if your vacation plan is on lake activities, cruising the Ozarks countryside or relaxation. The area is beautiful and is complete with businesses that provide all your needs. Just across the Kimberling City Bridge on the peaceful south side of the bridge are two motels that will be perfect for that quiet getaway and still close to lake activities and the shops and activities on the north shore. Branson is still close with a 30 minute drive to either the east or west side of Branson. Kimberling City motels are few in number in an area full of resorts but provide great accommodations in a serene setting. Many who stay at the Kimberling City motels take advantage of the great location as their base for some great Ozark day trips. The Ozark Mountains are great roads for a motorcycle road trip or a car club road trip. Whether traveling as a group in cars and motorcycles or alone you will find some fascinating road trips in the Ozarks and great places to spend the day.